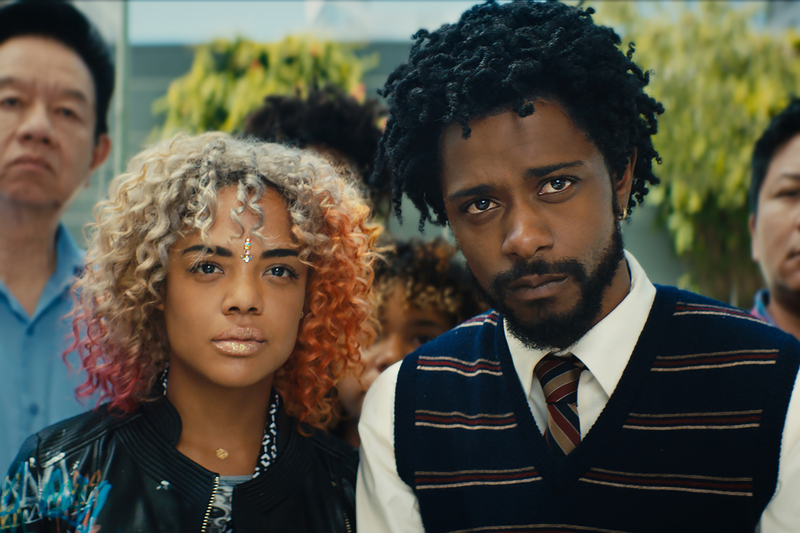 Boots Riley’s Sorry to Bother You is an all-too-real tale of capitalism, Black people in the workplace, and worthy causes. 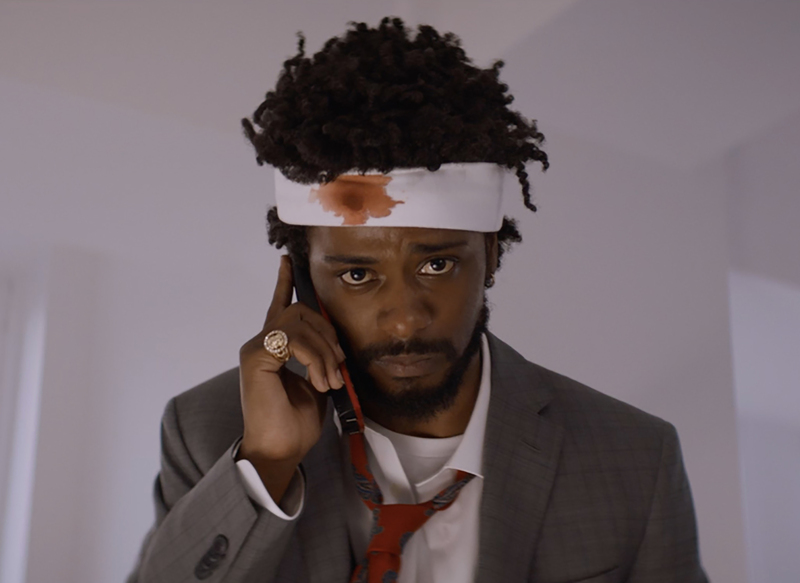 It stars Lakeith Stanfield (of Get Out and Atlanta fame) as Cassius Green, a regular, broke guy living in a garage-turned-bedroom in Oakland, California. 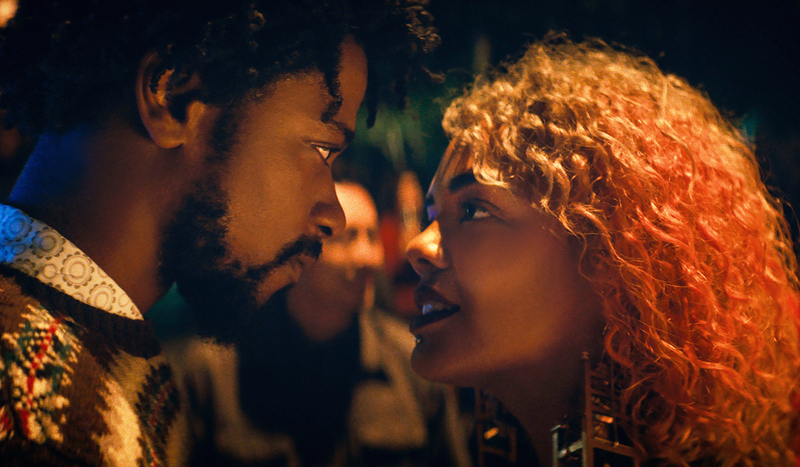 He strives to move beyond his current financial status for his sake, as well as for his landlord/uncle (Terry Crews), and his artist-activist girlfriend Detroit (Tessa Thompson). The film takes you on all types of twists and turns as it exposes the deep evils present in a society that values money over human life. One of the facets of the movie that has people talking is the makeup. Detroit’s beats and tattoo and Cassius’s head wound are not only well done, but extremely purposeful. 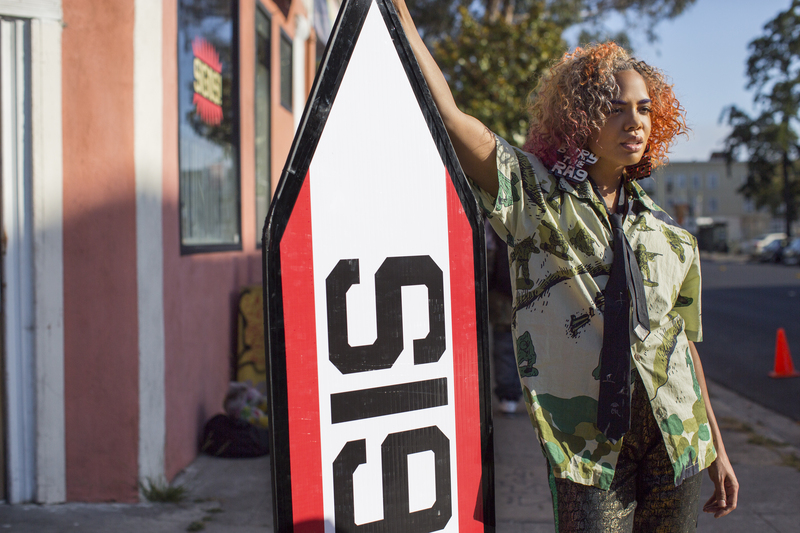 Makeup artist Kirsten Coleman had to work on a tight schedule. Yet, she was able to come up with creative ways to add spice to the movie’s characters. 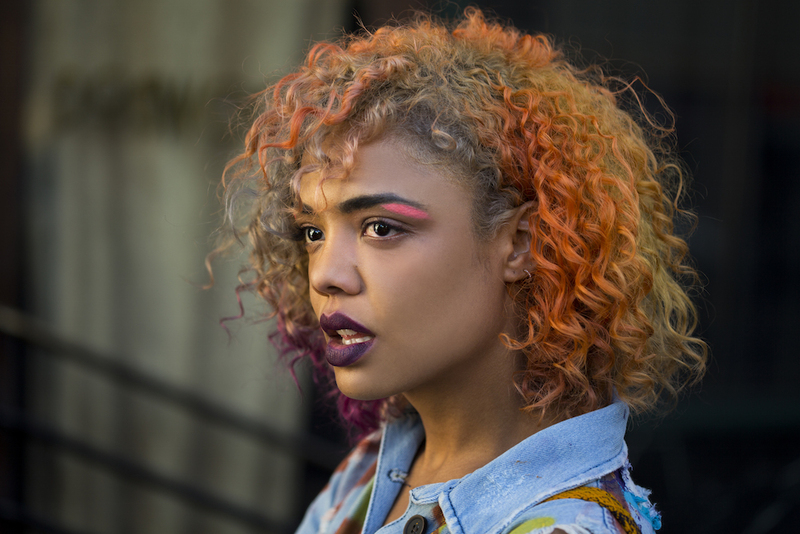 HelloGiggles had the opportunity to speak with the talented artist about her go-to makeup brands for the film and how she incorporated Afropunk style. HelloGiggles: How did you initially become interested in makeup? Kirsten Coleman: When I was around 10 years old, my grandmother would take me to see movies at the local theater. After, she would take me to Barnes & Noble, which happened to be right around the corner. There was a handful of beauty books, and Kevyn Aucoin’s Making Faces became my favorite. I studied his unorthodox and imaginative approach to makeup, and saw how he treated these well known celebrities as classic art canvases. His ability to make Gwyneth Paltrow look like James Dean simply blew my mind. I was fascinated, and on a subconscious level, I believe that was what shaped my outlook on makeup. Later, I became heavily interested in graphic design, pursuing that as a career right out of high school. Mind you, I was known for having the “coolest” makeup at school. I was always using it as a way to express myself. I decided to go to cosmetology school in San Francisco, and from there I was exposed to many specialties and industries within cosmetology, including makeup. At one point, my mentor, who is a union film hairstylist, brought me onto a indie film set, and from there it was history. HG: What were some of your go-to brands while working on Sorry To Bother You? KC: The main brands on the beauty front were Makeup For Ever, Glossier, Lime Crime, and Anastasia Beverly Hills. For effects, my team and I used quite a bit of European Body Art and Skin Illustrator, mainly for tattoo cover. I also have to say I was frequenting Michaels for stickers, gems, and jewelry supplies to use for Detroit’s many unorthodox looks. As for skincare, I used Botnia exclusively on every actor. I am also a big advocate for products that contain ethnically made, plant-based, and organic ingredients. HG: Tell me about the decision to incorporate Afropunk styles into Detroit’s look. KC: After reading the script, it became clear to me that Detroit was an artist and was passionate about being the opposite of standard or what is expected. When we shared our ideas, it was clear we were on the same page about her look. Not to mention, Dierdra [Govan, the costume designer], also had Afropunk influences in her mood board, so it was a harmonious collaboration. Having lived in Oakland for 13 years, and the Bay for my entire life, I became friends with a few “Detroits” and did use their fierce and fearless ability to use their bodies as canvases to express themselves through fashion and makeup. I think being an Oakland native helped me truly dial in these looks as I lived with these artists in the same creative community. HG: The film was shot in just six weeks. How did you manage to flesh out ideas so quickly? KC: During prep, I only had a few hours to test just some ideas with Tessa. This was of course not nearly enough time to establish the nearly 13-15 looks that you see in the film. That being said, most of our looks were prepared in a very small window of time at the start of the day. Although creating such unique looks on such short time was stressful, the collaboration time Tessa and I had in the trailer was innovative and playful. This setting allowed me to be in the moment and forced me to create on the fly which is where some of my most inspired looks originated. HG: What do you want viewers to take away from the movie’s makeup? KC: My goal with Detroit is to inspire women of all kinds, from all backgrounds to get out of their everyday comfort zone, and to take risks. Detroit is an artist and she uses her entire body as a canvas in order to express herself and whatever messages she wants to proclaim. She does not adhere to how society commonly views beauty and in many ways, she rebels against the thousands of years of women’s worth being valued through their appearance. Across society, as a human race, we are at a crossroads to many changes, and women reclaiming their voice has been gaining traction more and more. I feel Detroit represents this effort and I want women to use Detroit as inspiration to speak their truth through all forms of expression. I was grateful for the opportunity to lend my voice through the use of film and makeup to support this collective movement. 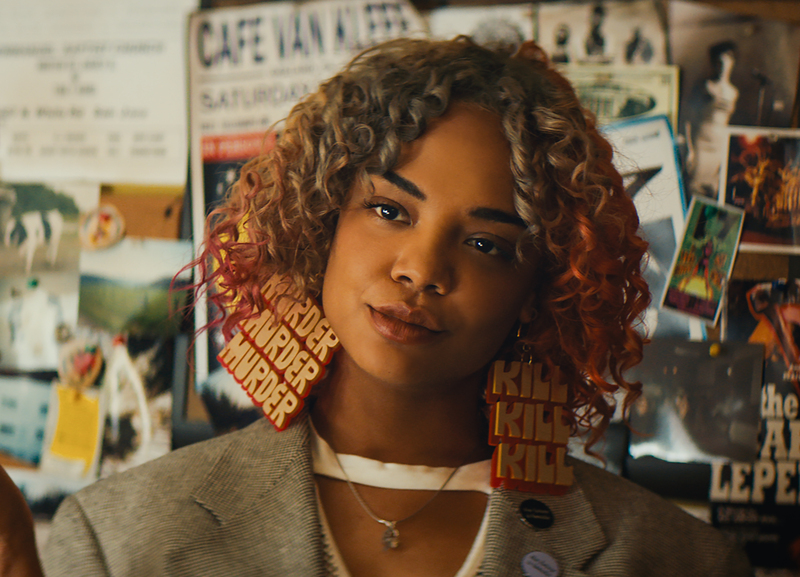 Sorry to Bother You is showing in theaters nationwide.